Seek pretty girl partners and defeat Bosses! ▶ Is it possible to look for romance in dungeons? - You can seek girl partners and upgrade your levels together. ▶ Use the randomly generated cards to explore dungeons! - It’s all random. But you need to plan ahead. ▶ Strategical battle using the attack, evade, counter, and focus cards! - The cards are limited and the choice is to target your attacks. ▶ Strategic changes in player’s job skills! - You begin out as an explorer, but you will be able to choose other jobs as you explore deep into the dungeon. ▶ Escape dangers with your partner’s special skills! - Your partners have their own skills to back you up. 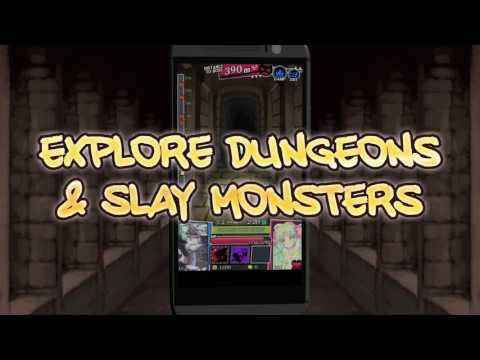 ※ Dungeon&Girls is a single game where game data is stored on a mobile device. Please note that data cannot be recovered when deleted.